On February 25 last year I wrote that Etana’s at the time recently released album Better Tomorrow included her finest work yet. And I’m happy to say that she keeps rising for every album and that she has yet again exceeded expectations and that she continues to raise bar. Etana has come a long way since her acclaimed debut album The Strong One, released in 2008. She has always had a stellar voice and has often been compared to U.S. neo soul singers like Alicia Keys and India.Arie. And Etana certainly has a truly soulful voice custom-made for slick ballads, but she’s equally at ease with harder and more roots-oriented material. That’s a vein that she has started to explore more and more in recent years. She has gone from being a neo-soul diva to a strong force in the ongoing roots reggae revival in Jamaica. On her brand new fourth album I Rise she continues to work with one dedicated producer. On Better Tomorrow it was Shane C. Brown, and on I Rise it’s no other than Clive Hunt. A real veteran and by Etana described as ”the great, great, the god father of reggae, super talented, creative, rough, bad, but also very kind at the same time, Clive Hunt”. He has made remarkable music for four decades working with the likes of Stevie Wonder, The Abyssinians, Peter Tosh, Jimmy Cliff, Grace Jones and a truckload of others. Onboard is also a host of Jamaica’s finest musicians, including himself along with Sly Dunbar, Robbie Shakespeare and Dean Fraser. Etana has a vocal strength and melodic power that is almost unique in contemporary reggae, and she’s today Jamaica’s leading female vocalist with her blend of infectious love ballads and harsh roots anthems. Clive Hunt has created a versatile, yet consistent, set with rich arrangements and multi-layered grooves. The discofied reggae beat on the spiritual Emmancipation (Spoken Soul 11) is one of the most memorable moments. Another is On My Way, with its militant intro that makes me want to salute the talented forces behind this excellent album. New albums from two of the biggest names on the contemporary reggae scene have just been announced. 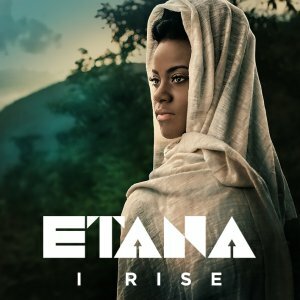 In October Jamaican songstress Etana follows up her acclaimed album Better Tomorrow with I Rise. It will be her fourth studio album and the first single Richest Girl is featured on Reggae Gold 2014, set for release in mid-August. Richest Girl is smooth with an edge and is produced by the legendary Clive Hunt. Protoje has announced that he has finished recording his third album Ancient Future, a set that will drop in September. And on his Facebook page he writes that “the sound changes once more…”. Until his album is released – don’t hesitate to check out the first single off the album. It’s a combination with Chronixx voiced over a hip-hop influenced beat produced by Overstand Entertainment. A solid single that managed to be included on Reggaemani’s list over the best reggae songs of 2014 so far.